The moose (Alces alces) is just one of many ungulates roaming the Grand Teton National Park. Others include elk, mule deer, bison, and pronghorn. After the ice melt, food becomes more plentiful and both bulls and cows roam near local water sources. 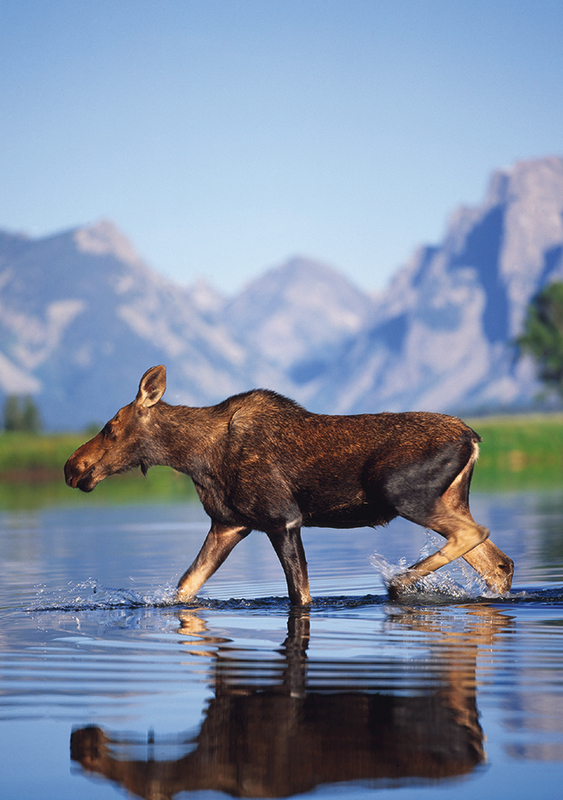 Despite their huge size (up to 1,800 pounds in North America), moose are superb swimmers, and they often dine on aquatic plants below the water’s surface. Abundant willow buds growing along the edge of the Snake River are a favored snack of the resident moose population. After she eats her fill, she will most likely retire to a shady thicket to doze and chew her cud.